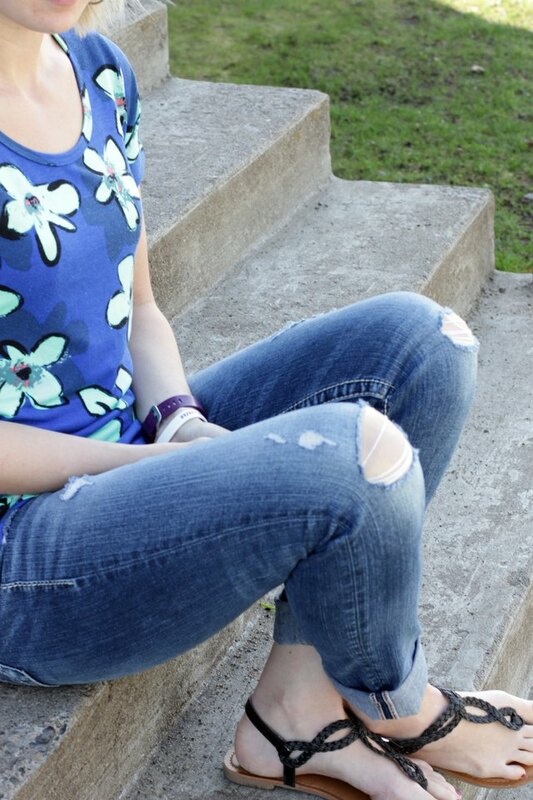 Score some serious style points with this do-it-yourself addition to your spring wardrobe: ripped jeans. 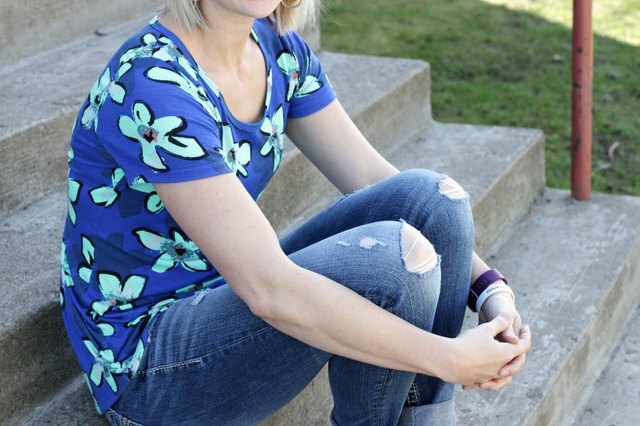 You can dress them down with a T-shirt and flats, or dress them up with a cute camisole top and heels. 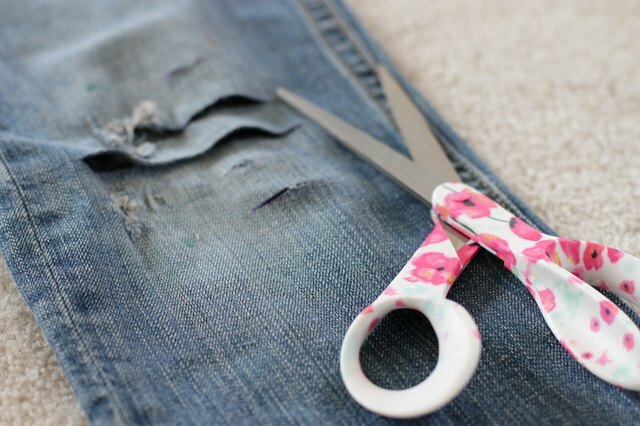 Whether you want distressed black jeans, blue jeans, faded or white there's no need to spend your hard earned money to get the look, just grab a pair of scissors and some tweezers and you'll be personalizing your jeans in no time. 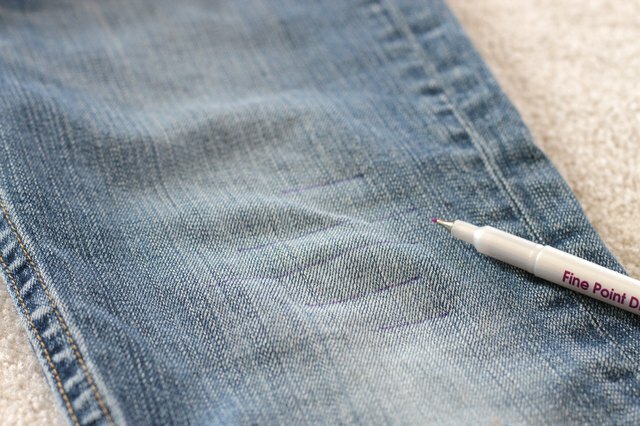 Start by marking exactly where you'd like the rips to be located on your jeans with a washable marking pen. The distance between the lines will determine how large the ripped area will be. 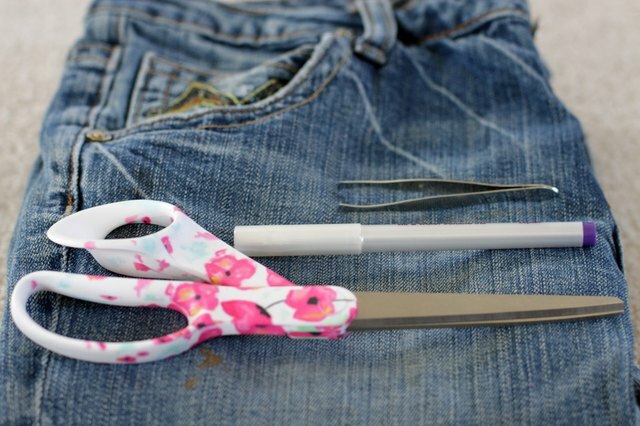 Cut along the lines with a sharp pair of scissors. Be very careful to only cut through the top layer. Use the tweezers to pull the vertical threads one by one. The first few threads will be hard to pull, but once you get a few out the rest will come out much more easily. Keep the horizontal threads to create that high end look. 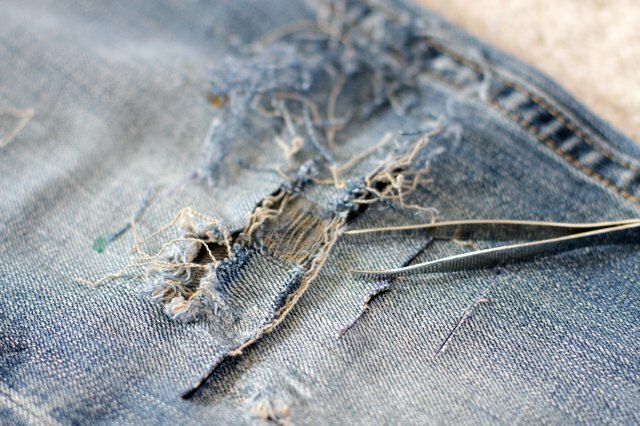 Repeat this technique wherever you'd like to have a ripped area on your jeans. 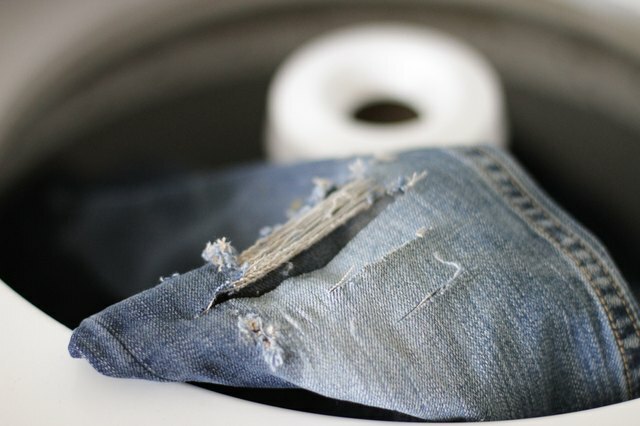 To make your newly ripped jeans look like the wear has happened naturally, run them through your washer and dryer to fray the edges even more. 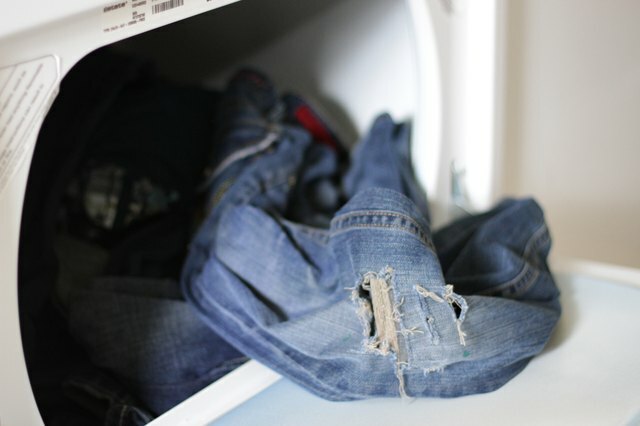 How Do Your Rip Your Own Jeans Without Sand Paper?